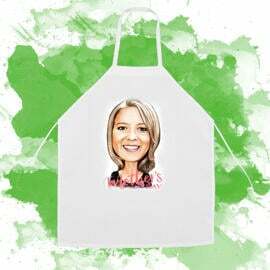 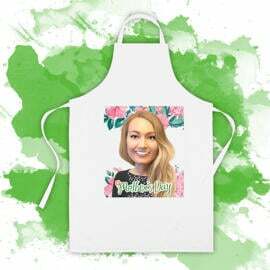 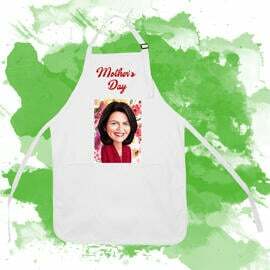 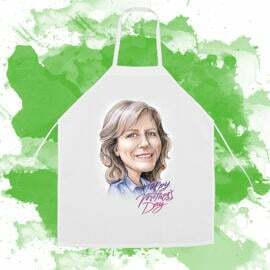 Get a custom-made white polyester apron for cooking, baking and BBQ made especially for a Mother's Day gift. 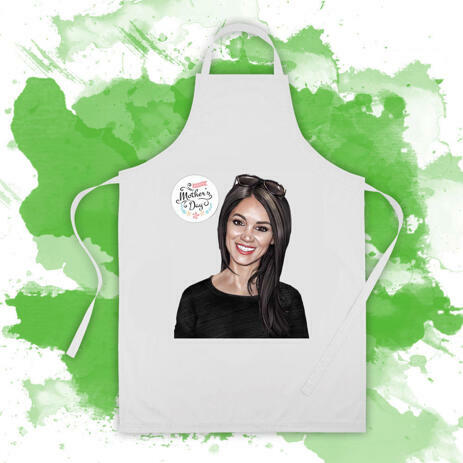 Photolamus offers you to order a personalized photo print on apron, where we will print a hand-drawn pencils portrait of a person. 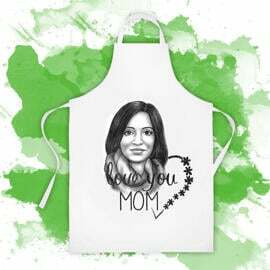 Portrait will be drawn in colored pencils style from submitted photos with our custom designs created in Mother's Day theme. Such an original apron is durable for wash machines. 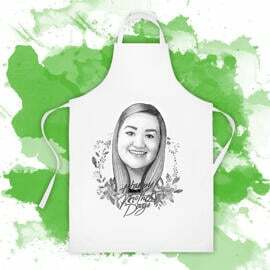 Upload several photos in high quality and we will draw a beautiful portrait illustration from them. Worldwide shipping is available.